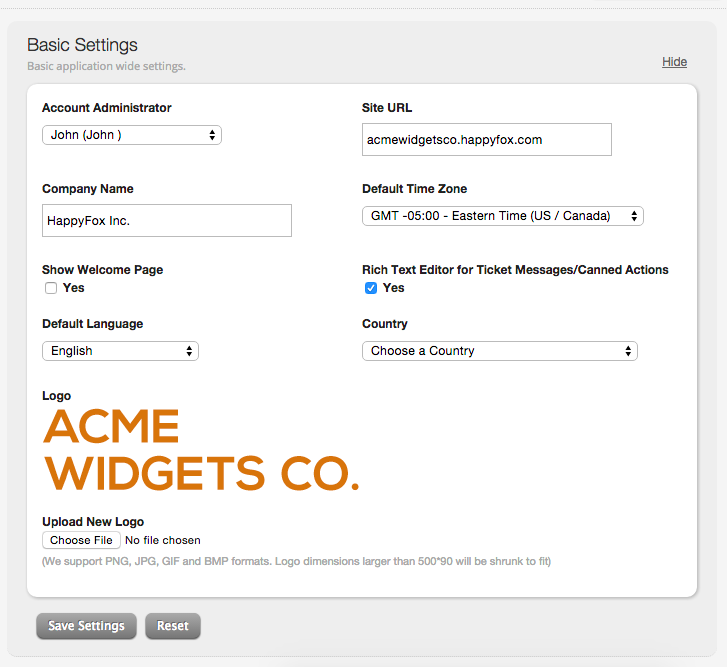 HappyFox allows you to set the "Timezone" and "Language" settings, which will be defaulted to every new staff member added to your support system. 1. Login to your Staff interface and navigate to the "General Settings" page under the "Manage" tab. 2. Under the 'Basic Settings', you can choose your 'time zone' from the "Default Time Zone" drop-down box. 3. 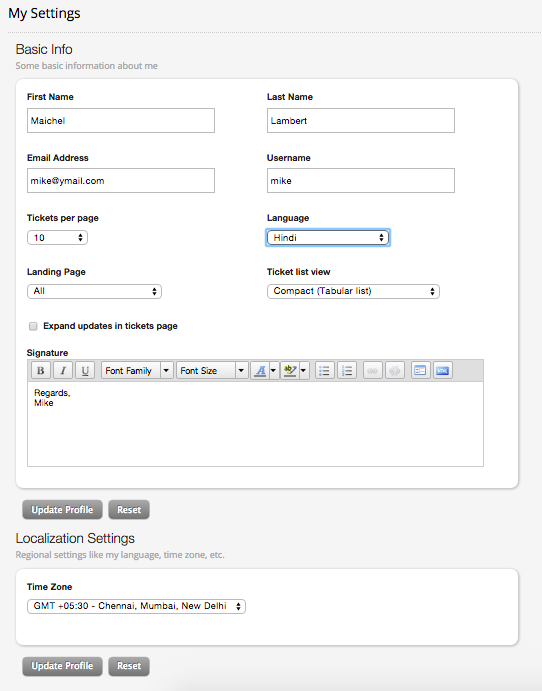 Choose the language from the "Default Language" drop-down box. Once you are done, click on "Update Profile" button, to record your changes. Note: In cases where a specific staff member works from a different timezone or requires a different language setting, such personal preferences can be set by going into 'My Settings' from the staff panel.